I am a trend watcher, particularly among churches in America. I am not particularly insightful or smart; I simply listen and speak to many churches. In fact, through my travels, blog, and other social media, I hear from thousands of church leaders every week. When I wrote High Expectations in 1999, I talked about the very early trend of churches requiring a class before granting membership to someone. 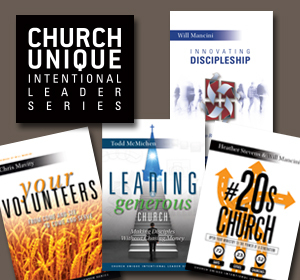 In other words, a membership class was an emerging facet of expectations for church members. Today, membership classes are pervasive. In an informal survey I did this year of churches with over 250 in worship attendance, more than 80 percent had some type of entry point class as a requisite for membership. In 1999, that number would have been less than 10 percent. I have to admit that the growth of multiple venues in churches has caught me by surprise. More and more churches have multiple campuses. More and more churches have multiple venues on the same campus. One of the studies I am hoping to tackle in the next few months is the growth of larger churches with multiple venues versus the churches with one venue or site. I’ll let you know how that develops. Just a few years ago, the executive pastor role was largely reserved for very large churches. Indeed, there was a time when I rarely saw an executive pastor on staff in a church under 3,000 in worship attendance. If current trends continue, the executive pastor will become the second full time pastor to join a church staff in a majority of churches. That is quite a change from ten years ago! The executive pastor is now seen as a complement to the senior pastor. In other words, the executive pastor is typically gifted and wired in ways that the senior pastor is not. As a consequence, executive pastors are becoming more common in smaller churches, even churches with less than 200 in attendance. Watch for this new trend to grow. 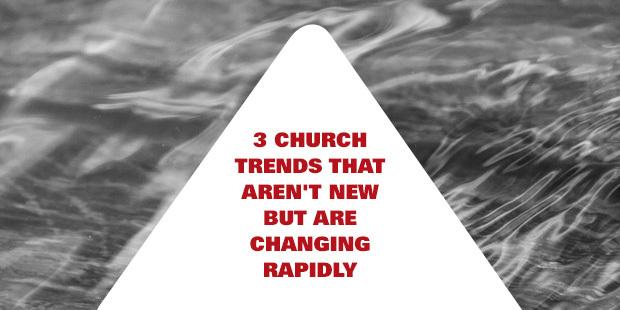 What do you think of these three new changing trends? Keep in mind, the trend itself is not new; it’s the growth rate of the trend. What would you add? My husband has said he will never become a member again, he'll go just not become a member. We'd job transferred with his company several times, and each church wanted us to go to a 101 class all over again, sometimes get up in front of the church to say why we wanted to become a member. Our congregation currently hosts approximately 600 worshippers on Sunday morning, which is near capacity for our worship center. We are too big for one service and too small for two. We actually tried the move to two services a few months ago, and it was extremely difficult to pull off--two half full services. We are considering offering a second service in a smaller venue at the same time as our other service. Have you seen this done before? Do you have any suggestions? We are thinking about perhaps sending a feed into the smaller venue of the sermon, but allowing everything else to be unique to that smaller service. I would love to hear your thoughts or about some good resources.